(1): During your Main Phase 1, if this card was Normal Summoned this turn: You can Tribute this card; negate the effects of all face-up monsters this turn. You can only use the (1) effect of “Kaiser Sea Snake” once per turn. (1) If your opponent controls a monster while you do not, you can Special Summon this card (from your hand). 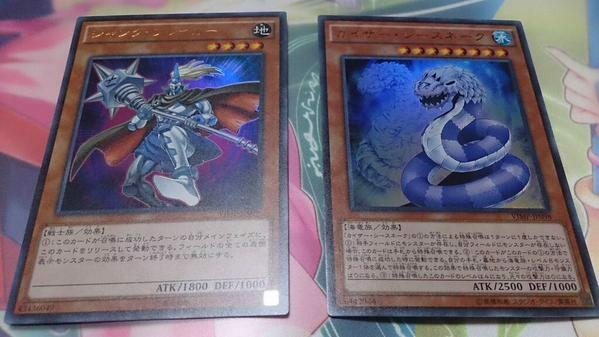 (2) When this card is Special Summoned by its (1) effect: You can Special Summon 1 Level 8 Sea Serpent-Type monster from your hand or Graveyard, but its ATK and DEF each become 0. (3) If this card was Special Summoned, its Level becomes 4 and its original ATK becomes 0. Źródło : What did Yusei, Shark?